With the 2010 Gulf of Mexico oil spill still impacting the local environment and the recent Costa Concordia accident threatening to leak diesel off the Italian coast, there has never been a better time to research new ways of cleaning up disasters such as these. Luckily, the University of Bristol just developed a soap that responds to magnetic fields – meaning it could be used to scoop up large amounts of oil from water without leaving behind potentially harmful chemicals. 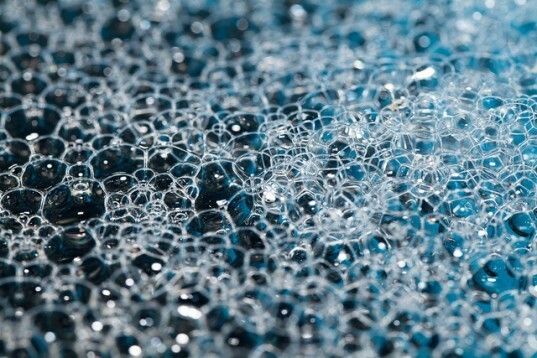 The University of Bristol team developed the soap by dissolving iron in a range of inert surfactant materials composed of chloride and bromide to create a substance that can be controlled by magnets. When deployed at oil spill sites, the soap is designed to aid clean up efforts, and it can be easily removed afterwards with magnets. The soap’s magnetic properties have been proved with neutrons at the Institut Laue-Langevin – tiny iron-rich clumps formed within the solution when it was exposed to a magnetic field. 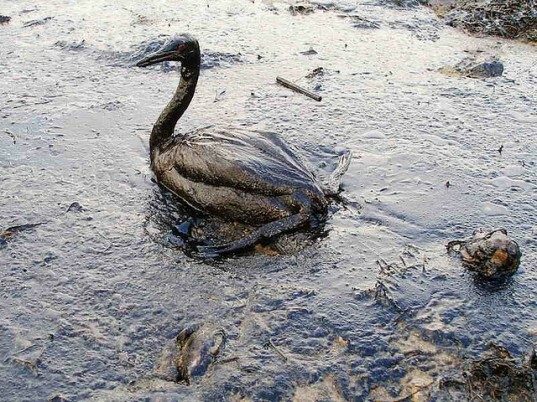 By controlling soaps (or surfactants as they are also known), clean-up crews will be able to remove oil from water more efficiently while collecting the surfactants, which are often left in situ. The team at the University of Bristol, led by Professor Julian Eastoe, say that the potential applications are huge, as the soap’s electrical conductivity, melting point, size, and shape of aggregates can be altered by a simple magnetic on and off switch. With the 2010 Gulf of Mexico oil spill still impacting the local environment and the recent Costa Concordia accident threatening to leak diesel off the Italian coast, there has never been a better time to research new ways of cleaning up disasters such as these. Luckily, the University of Bristol just developed a soap that responds to magnetic fields - meaning it could be used to scoop up large amounts of oil from water without leaving behind potentially harmful chemicals.